Composite Video/ Left Right Audio to Cat6 Balun? 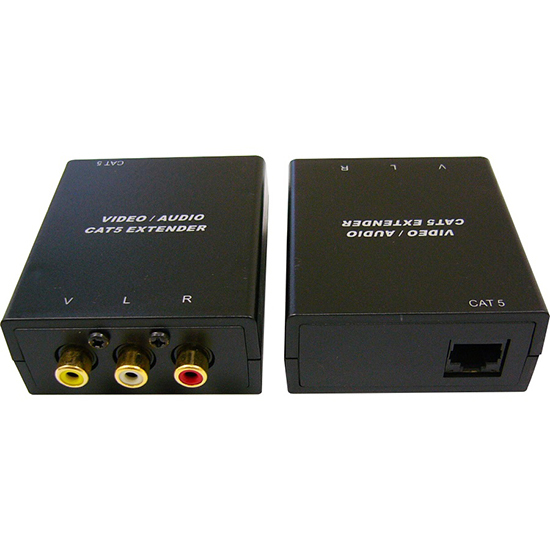 2 x Baluns Converts the impedance of video/ audio signal to 100??? This allows signal transmission over?UTP (Cat5e/6)?cable? Signal distortion is minimised as high frequency noise is filtered? Can be used in existing installations where Cat5e/ Cat6 is installed? Input: Composite/ Left Right Audio (3 x RCA)? For Video????????? : RCA connector?